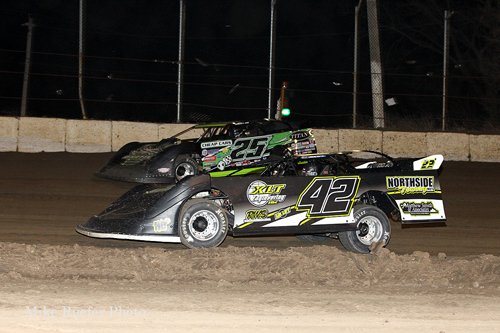 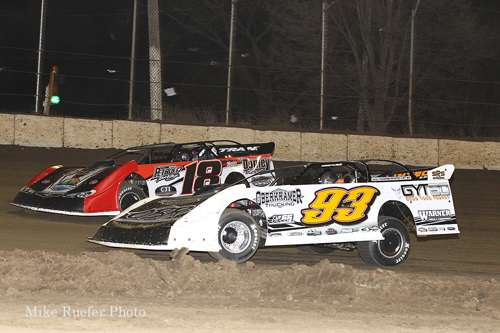 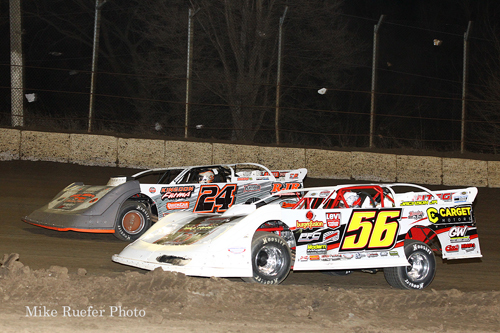 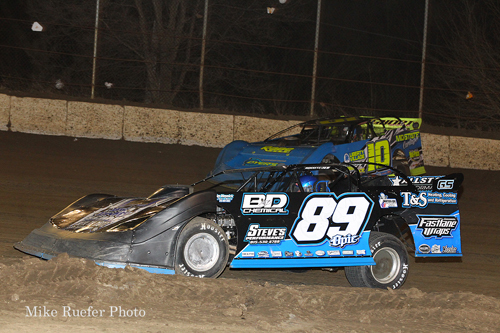 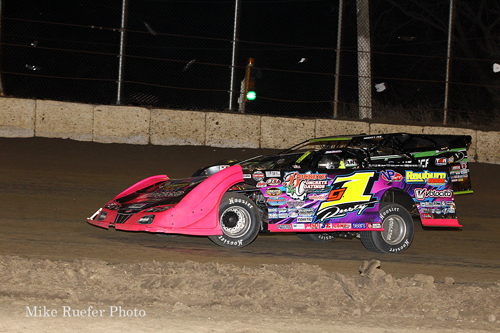 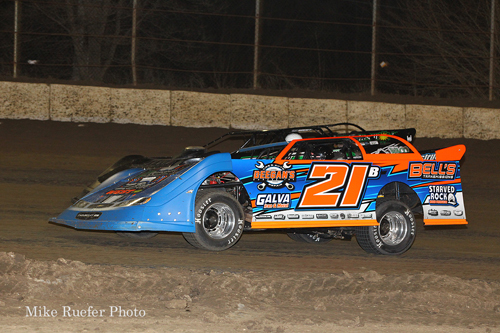 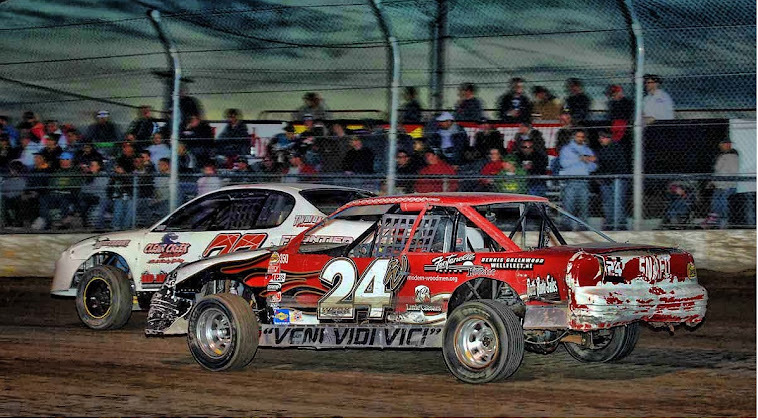 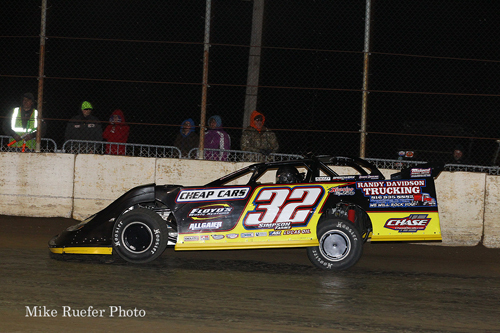 Chris Simpson won the 75-lap MLRA Late Model feature on Saturday night. 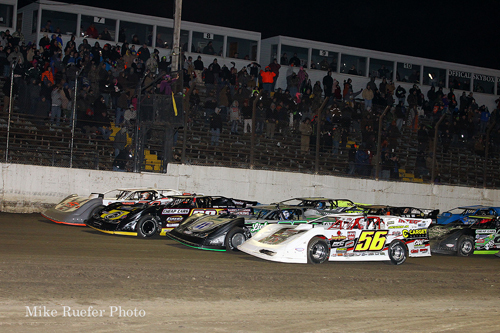 The MLRA Late Models salute the fans in a four-abreast parade lap. 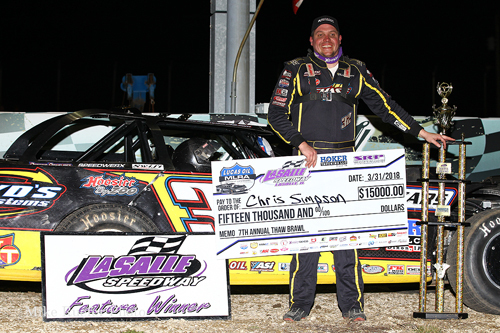 Chris Simpson collected $15,000 for the win.